At Today’s Life Schools & Child Care, we make it our mission to provide your child with an environment where he or she can learn, grow, and achieve their full potential. Our staff is highly trained to provide your child with a safe environment where his or her specific needs are met. 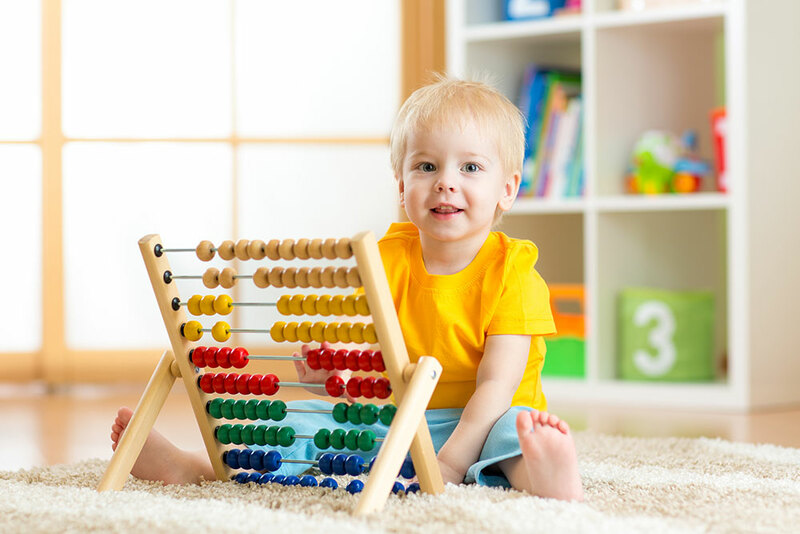 At our childcare facility, we provide your child with the care and safety he or she deserves. Our classroom is designed for toddlers, ages 16 months to 33 months, to explore, play, learn, and utilize all of their senses. Our environment is staged with distinct centers and comfortable spaces for both individual and group play. Toys for every developmental level are readily available in each area. Our structured schedule allows children the comfort of knowing what to expect from a day at school. We do a daily group time where the children learn new information and practice colors, numbers, letters, and shapes. During this time of academic learning, children will also practice when to sit quietly, listen to the teacher, take turns, and when to have patience. Each toddler’s emerging communication abilities allow him or her to interact with others and make his or her needs known. We teach sign language and encourage parents to use it at home. In order to engage your child, we create language experiences that are rich in play and imagination. We read stories, talk, play games, and make music together. Our Spanish language program exposes each child to the sounds and vocabulary of a second language and lays the foundation for language learning later on. Toddlers have a lot of energy, and as such, many of our activities are designed to help them get up and moving. Our activities include walking, running, and climbing on our indoor and outdoor play areas. We also strive to incorporate music and dance into our daily routines. To encourage each toddler’s physical, mental, and social development, we do many different activities that explore sensory skills, dramatic play, art, dance, and large and small motor skills. Our child care providers help your child work on potty training, independence, and self-help skills. The teachers at Today’s Life are constantly at the children’s level and engaging with them. We are always there to lovingly support each child and acknowledge his or her milestones. In order to ensure that all the children are being watched at all times, we maintain a safe ratio of one teacher per seven toddlers. As a requirement of our child care facility, all of our staff are trained in the necessary safety issues before they even start working with the children. Sudden Unexpected Infant Death (SUID) and Abusive Head Trauma (AHT) are serious concerns, which is why our staff are trained before they are introduced to the classroom and must renew the training every year. During nap time, we also practice safe-sleep procedure. At Today’s Life we work hard to provide your child with the health and safety that he or she would have in their own home. In addition to training in the necessary safety procedures, we also hold ourselves to high sanitation standards. To avoid the spread of germs and to keep your child as healthy as possible, we wash and sanitize our toys and equipment several times throughout the day. Nutrition is an important part of healthy growth and development. Today’s Life provides your child with a morning snack, a hot lunch, and an afternoon snack every day. We also work on improving your child’s independence and motor skills by helping him or her eat by themselves, use silverware, and drink from a cup without a lid. We also encourage children to practice keeping their area clean. If you have any concerns about your child’s nutrition or you would like to request a special diet, please don’t hesitate to give us a call, as we would be more than happy to work something out. As a parent, it’s hard for you to entrust your child’s care and wellbeing to someone else. At Today’s Life, we strive to ease your stress by providing you with daily reports about your son or daughter. You will be kept up-to-date on your child’s care and what he or she did that day. In addition to our daily reports, you will also have the chance to speak with the teacher in-depth about your child at our parent/teacher conferences that are held twice a year. Aside from regular classroom learning, it’s good for your child to experience new things. As part of our enrichment program, your child will be exposed to Spanish, music, obstacle courses, and more! All of the activities in our enrichment program are available on a daily basis. 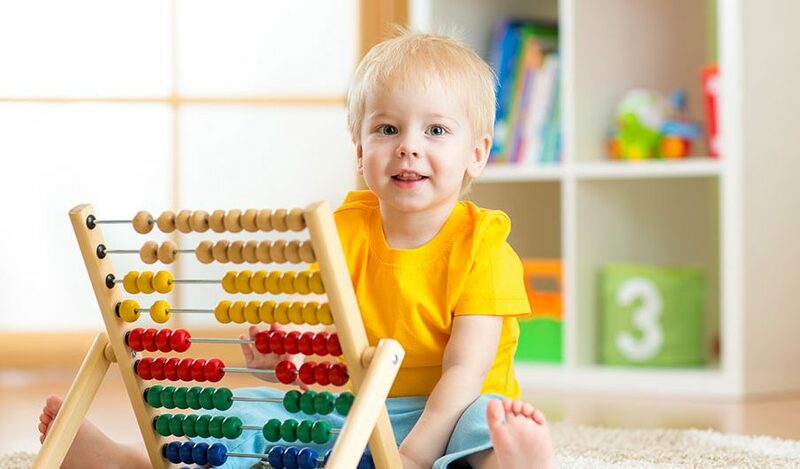 Are you interested in learning more about our toddler learning and education program? Click here or call us at (952) 358-2020 for Eden Prairie or (763) 951-2032 for Brooklyn Park to schedule a visit today! A fun activity that doubles as an exercise in motor and sensory skills, an obstacle course provides an outlet for children to practice their physical abilities while developing critical thinking, problem-solving, and communication skills. We use this creative activity in our classrooms to give your child a fun way to learn and burn energy. Children encounter numerous benefits from practicing yoga. It enhances their flexibility, strength, coordination, and body awareness. Yoga is also a great way to improve mindfulness, concentration, and calmness in the classroom. Children naturally enjoy music, and research has found that a knowledge of music facilitates learning in all other subjects and enhances skills that children use daily. We have added music in every one of our classes so children can learn basic instruments and create musical devices to improve memory and learning. At Today’s Life, our toddler, preschool and pre-k groups receive regular instruction and practice in the Spanish language. During regularly scheduled play and circle time activities, our Spanish language teacher converses with children in a natural way. Through play and exploration, children are encouraged to experiment with new sounds, words, and sentences. When exposed to this rich linguistic environment, your child isn’t just learning a second language, he or she is also developing intellectually. We’ve created a curriculum for each age group that is based on solid child development principles. Our talented and loving childcare providers communicate with parents daily in order to promote the development of their children into confident and joyful learners. We are dedicated to giving children the attention, guidance, and care that we all want for our own children.